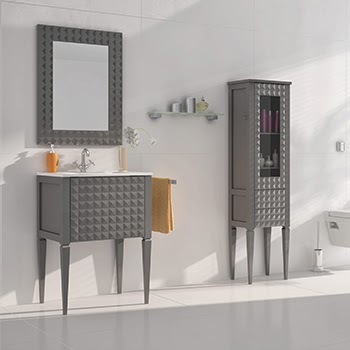 Bathroom Vanities and Accessories Design and Tips | DecorPlanet.com Blog: Is There a Best Time to Remodel Your Bathroom? When it comes to remodeling your bathroom, the decision, that you actually want to renovate the room, is only the first step. Deciding what you want the bathroom to look like, how you’re going to do it (and pay for it), as well as when you should start, should all be on your radar. If your renovation is small and means replacing the toilet and vanity, you may have a lot more flexibility when it comes to things like timing and cost. However, if you’re going whole-hog, and looking to completely redo the entire room, you’re going to need a longer planning schedule. Knowing when to renovate is important. While you may not be happy with the choices the previous owner of your home made in the bathroom, you don’t necessarily need to redo things right away. However, if the appliances in the bathroom are old, suffering from wear and tear, or seem cheap, you might want to do more than slap on a new coat of paint. You also need to consider the time of the year to begin your renovations. Most experts agree that the beginning of the year, around January, is a very good time to remodel rooms in your home. This is primarily because of supply and demand. Supplies of products are usually up; work is slow. It seems most people think about remodeling in other seasons. So, while it’s possible to get the steam shower with all the extras in the middle of June, the supplier may not have it in stock, or contractors may be so busy that they put you on hold until the fall. Of course, many parts of the country have seen a slowdown in stock due to the weather. This is another factor to keep in mind if you live in an area where weather plays havoc all winter long. Planning for the time of the year you are going to remodel the bathroom, as well as thinking about other things that could potentially cause delays needs to be considered. How long you should plan is completely subjective. It depends on the amount of work you’re putting into your bathroom, who will be doing the remodeling, what kind of products you want, what the supplier has and where they are (local or far, far away), and more. This is also where the internet can help, but it can make things even more difficult for some people. There are so many amazing ideas for what to do with your bathroom that it can be hard to decide where you should start. Start by considering what you want, not what someone else has done with their bathroom. While that bathroom you saw in someone’s sprawling country home looks incredible, and is definitely something you’d enjoy, do you have the space and style? Or is this going to be biting off more than you can chew. Consider your budget. It’s very easy to go over budget when you start thinking about big ticket items or extras, like heated towel racks, you’d like in your bathroom. One way around this is to think about spacing out your remodel. While no one wants to be stuck in the middle of a changing room for months on end, you may be able to come up with some logical way to make the extended renovation seamless. Install the new toilet and then wait to install the new shower, or vice versa. While going over budget is easy, you shouldn’t constrain yourself to finding the cheapest materials, or contractor, out there. Cheap doesn’t mean it will last. Think about how long you’re going to be using the bathroom. If you’re going to be there for a long time, you don’t want valves and seals to begin failing after only a couple of years, or areas of your bathroom collecting mold in the same place every season because of dampness. Even if you’re not going to stay in your house long term, a decent bathroom adds to resale value. And while flipping your home with cheap materials might be good for you, it’s not good for the next family that will move in. It can be tempting to go the cheap route, just for the sake of getting things done, but because looking at how much things cost can be depressing. However, it’s easy to find places that sell everything you need at a discount. You may also be able to find advisors beyond a contractor to help you. You may even have friends who can either point you in the right direction to find a wholesaler or discount supplier. If you’re really lucky, your friend might actually be able to do the remodel.